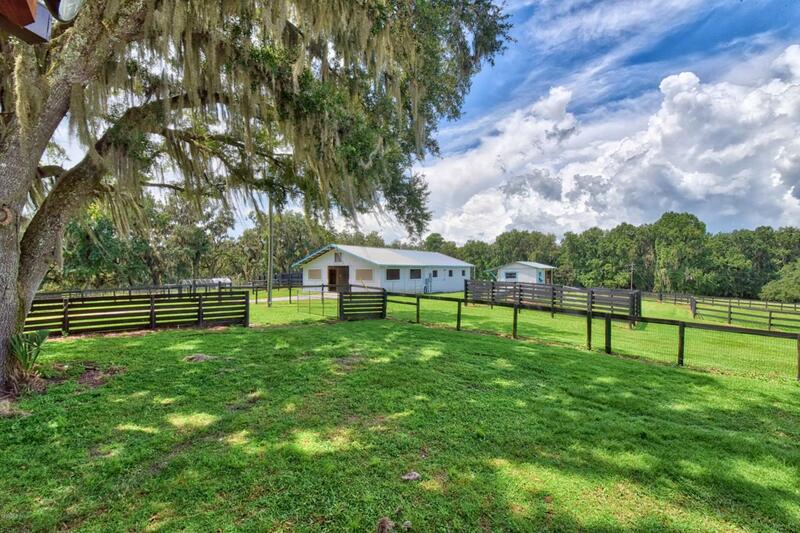 On 32 acres, this turn-key horse farm with 3 residences is high atop lush pastures. Fenced and cross-fenced. Train in the new 75x200 sand arena, then hack through the canopy of oaks to the 9-stall center aisle barn. 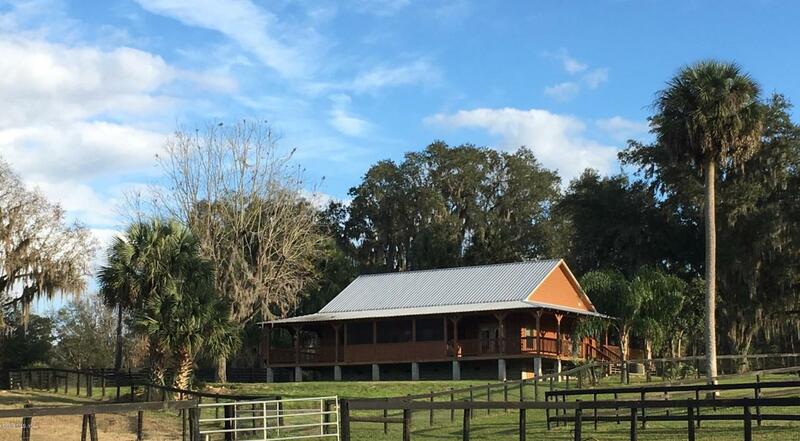 Designed for the equine enthusiast, this barn offers tack room, wash racks, and hot and cold water. A second 5-stall center aisle barn includes tack room and wash rack. There are additional outbuildings, including a stallion isolation stall with paddock, 24x24 workshop, and several covered storage areas. Hawk's Landing offers a custom log home, and 2 mobiles homes with income-producing possibilities or staff housing. 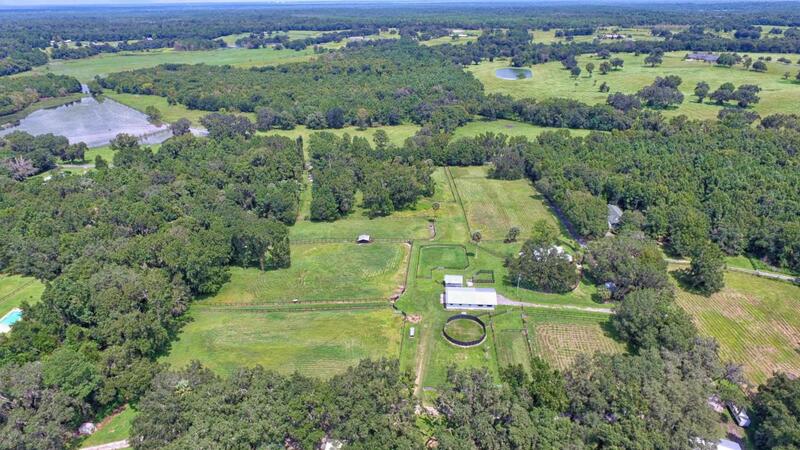 Hurricane ready, this farm has a full-home generator, and a second generator in the barn that services the well. 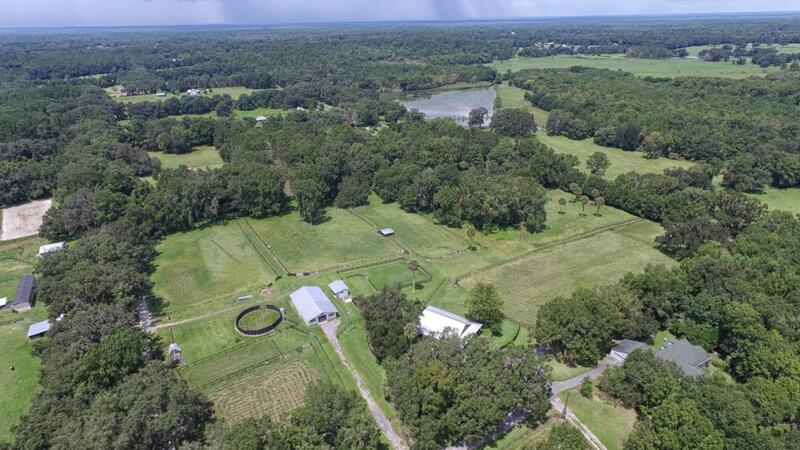 Additional home & acreage are available!